So I ski oft enough with a friend that has 2007 196 with PP and a switch. 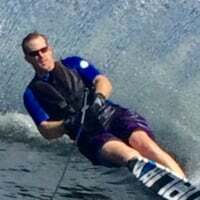 I ski my best behind a ZO boat at C1 setting. What's the closest switch setting in the PP system to C1? I like the freedom off the second wake with C1. I used KX- PX10 and ran my baselines down so my weight was 100# more than real. My transition to ZO was easy and I use C3. My PP boat is an 04 MC. I have heard other settings work as well. Having a working switch is most critical. When the switch closes, you get hammered. When ZO's accelerometers feel something, you get hammered. My back is liking the Goode vest with all this hammering! I'm (because of BOS) familiar as to how the ZO settings through the number and letter combos affect the skier. How does the PP settings affect the skier using a switch. @Eric thanks for the comments! Kx - ='s a slight delay which I think is like the ZO A setting. Remember, ZO only hits you as hard as you hit it. If you are light on the line and ski efficiently, ZO hardly does anything. Conversely, if you bury your shoulder and load the line hard, you get hit equally hard by ZO. My understanding of Px is that what you put in is the percentage of your skier weight PP adds in RPM. So in my case at Px=20 and 200lbs it adds 40rpm when I hit the switch. Might be wrong on this but also understand PP has a three speed servo though so not sure how accruate that might be, if it really has time to be that precise. Higher numbers seem to make ti spin up quicker. I run stargazer with z-box set at C1. When I get behind a non-z-box boat I put the Kx at + or ++ to get a similar rope feel to me. Skiing 15 off at a little under 32 MPH at 4000+ ft above sea level. Not sure I know what I am doing. The boat goes I follow. Trying to perfect the deep water start. Squirrel! @Chuck_Dickey. Perfect!!! Now I have something to work with. Can u explain the Px further. As in what percents may feel like what number? Is the PX setting something like 5% 10% 20%. @Wish This is my understanding of how PP works and how I would compare it to ZO. Kx setting controls the response time, Px controls the amount of response. Px settings add a % of the inputted skier weight. 5%, 10% and 15%. Example, if you put skier weight in at 100 pounds and you select Px 5, it would be like adding 5% to your weight but in RPM. So lets say hypothetically that 100 pounds equals 100 RPM addition over baseline, then Px5 would add an additional 5 RPM, Px10 adds 10 RPM and Px15 adds 15 RPM. So if the skier weight inputted is 200 pounds, you would double these numbers. This happens when the switch is activated during the load. Just like ZO, it is a response to the skier loading the rope. Again, the Kx is the response time after the switch is activated and the Px is the amount of response after the switch is activated.